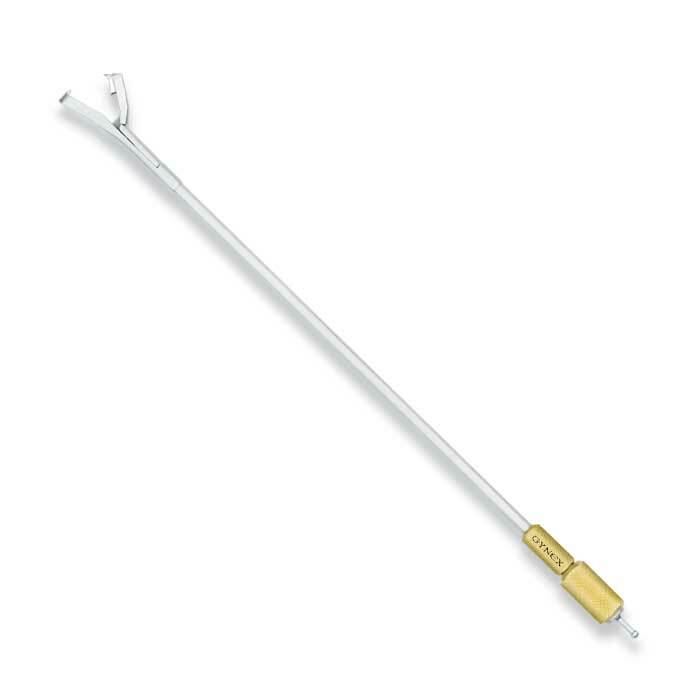 The Piraka Laparoscopic Port Stitcher is a suturing device designed to close the fascia or whole thickness of the laparoscopic ports. 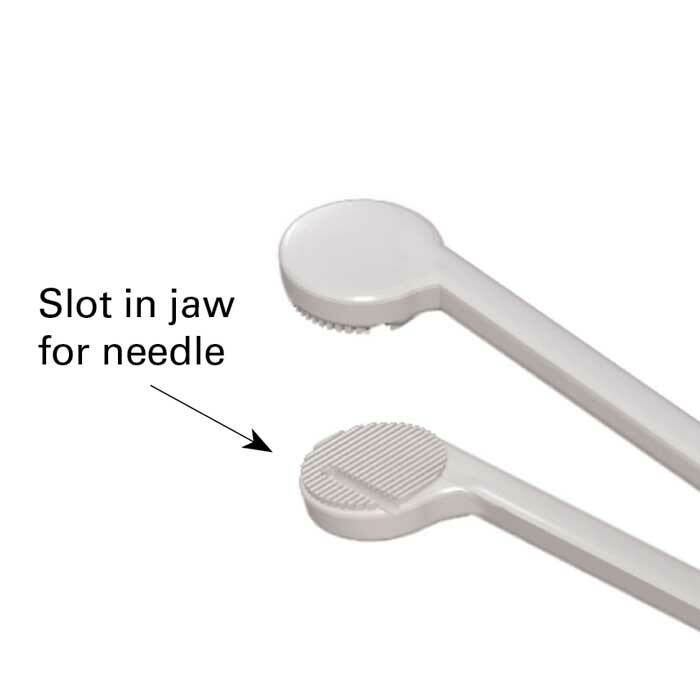 The purpose of this device is to simplify and speed up closure of the ports by using straight needles in a reverse direction. Closure of a large defect in the fascia, prevents future hernia formation. You will receive two port stitchers with your order. You will also need double needle sutures. The depth of the Piraka Laparoscopic Port Stitcher is dependent on the thickness of the abdominal wall. Therefore, different size needles are required. 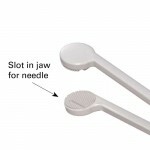 Presently we offer two sizes: 3.5 cm and 4.8 cm double needles. For beginners, laparoscopic visualization may be helpful to see the rounded end of the stitcher touching the peritoneum. 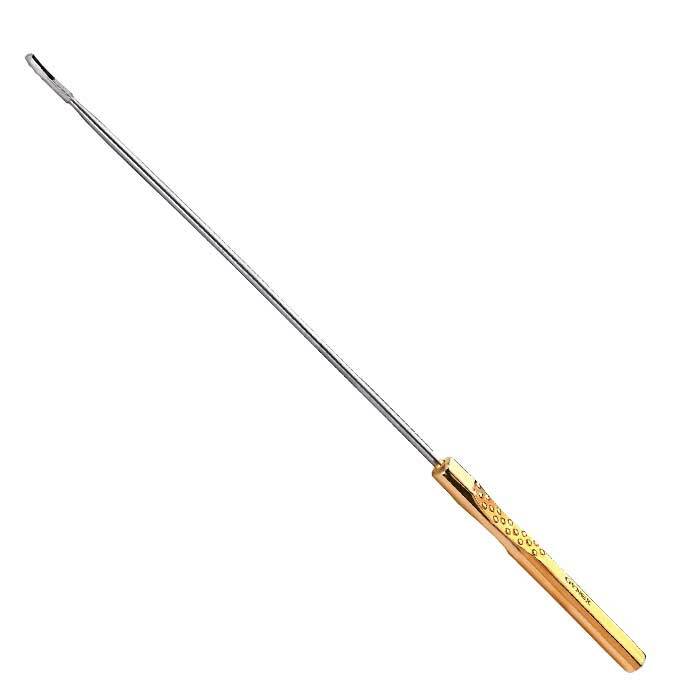 Hold the shaft of the port stitcher tightly against the edge of one side of the fascia to be sutured and the subcutaneous fat. See Fig 1. 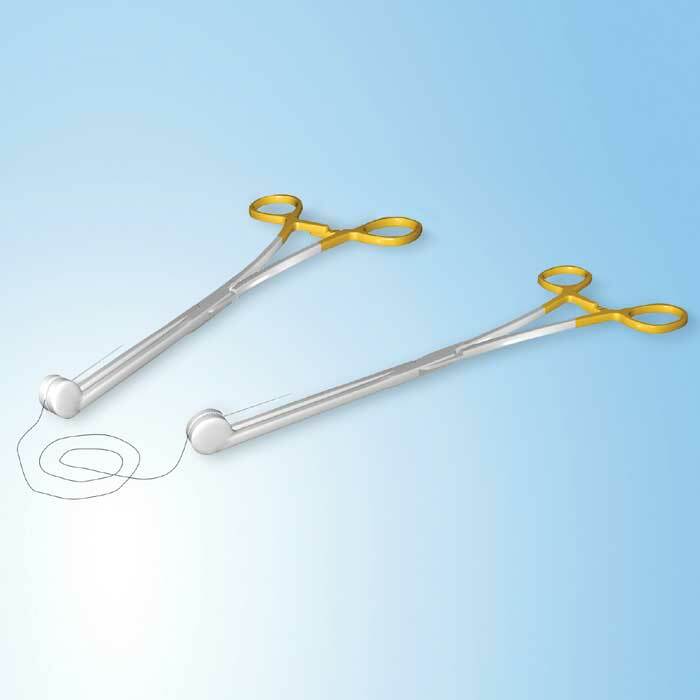 Retract the skin corresponding to the side of the fascia with a small self retaing skin retractor. Or you can try and tilt the needle at an angle away from the skin. Pull the port stitcher up until the needle tip is visible. Fig 2. 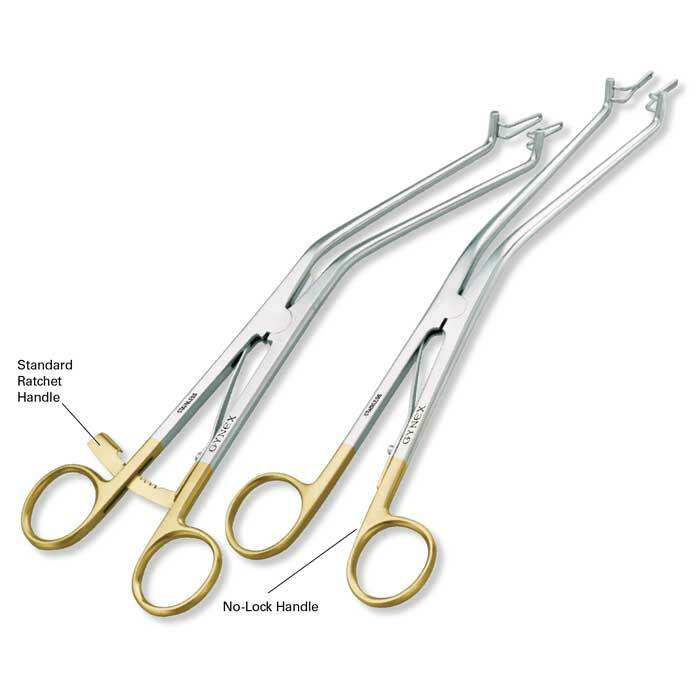 Grasp the needles tip with a needle holder, hemostat, grasper or any other instrument. See Fig 3. Open the jaws of the port stitcher to release the needle and remove the port stitcher. Draw the suture half the length with the needle holder. See Fig 4. 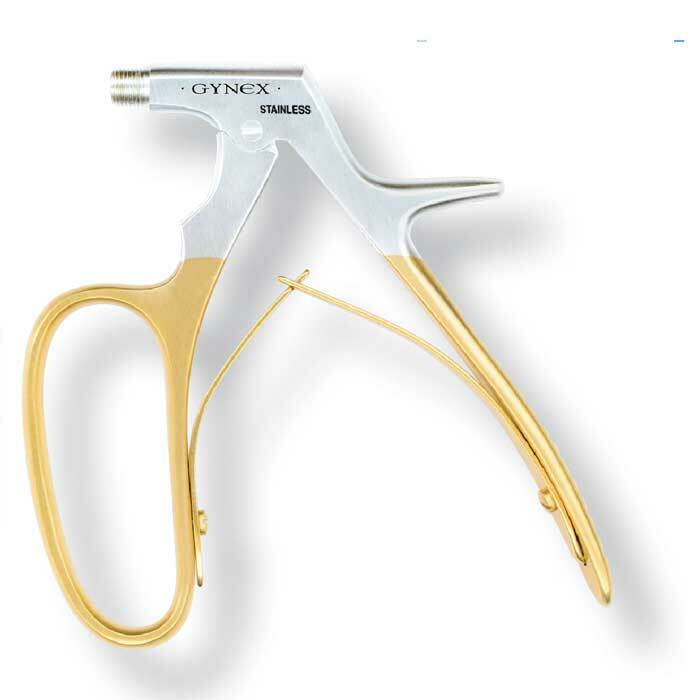 The double needles all use absorbable vicryl sutures.